Quality time in high definition. 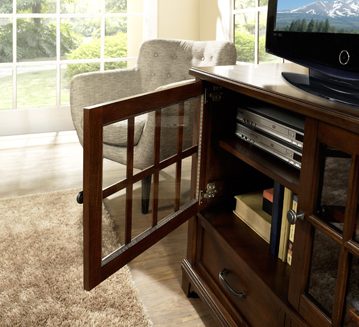 Many of our consoles have an interchangeable door front from glass to wood. Beautiful veneers and a rich finish are just some of our hallmarks. 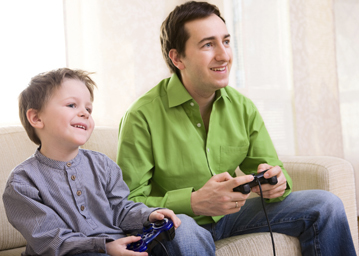 AFTER A DAYS WORK YOU ARE READY TO UNWIND and spend quality time with your family. The only care you should have is deciding what to watch, play or do. 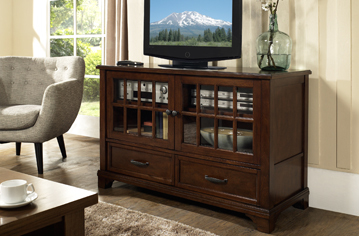 Your entertainment furniture should provide hassle free access to all of your controllers, gadgets and components. The average household has 25 consumer electronic devices. Good thing we have room for them all. Samson International’s entertainment furniture has you covered. We make versatile and stylish TV consoles, hall chests and entertainment centers designed for multiple uses that fit your home seamlessly. Entertainment has many definitions, so its furniture should be multifunctional. We focus on crafting pieces to be used day after day and function for any lifestyle or family. The construction is solid and strong. It will keep your TV’s, and electronic components secure and docked, ready for action.